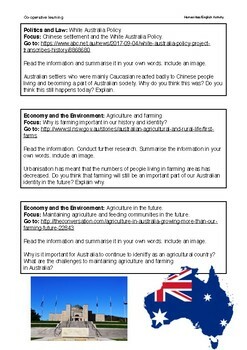 This is an activity to help a class explore the complexity of Australian identity. As an English and Humanities teacher I know it can be used in a Year 7 English class. 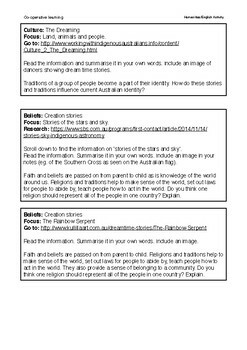 General capabilities: Aboriginal and Torres Strait Islander perspectives as well as Asian perspectives are met in this task. 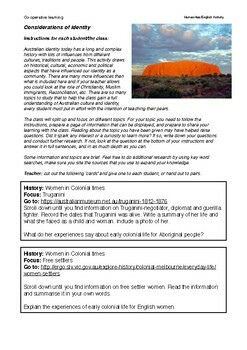 It is also useful for exploring Cultural identity, perspectives, history and elements of Australian politics for Year 7-8 Humanities or for older year groups exploring these concepts in English. Especially when looking at Australian texts such as Gallipoli, The Water Diviner, Jasper Jones, etc. 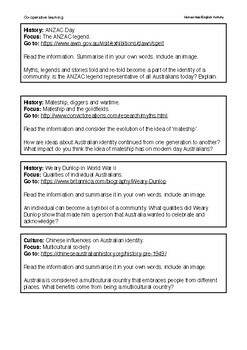 As an activity it has depth and allows for differentiation (struggling students could work in pairs).